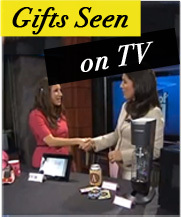 TheGiftInsider.com is a gift recommendation website that helps shoppers find hand-selected and creative gift ideas, then links shopper to the merchant that sells these unique finds. The site offers exclusive discount codes for many products featured on the site and The Gift Insider Blog, which is full of gifting tips and etiquette advice. Here is a link to our Gift Insider Demo Reel and feel free to inquire for a media kit. The Gift Insider brand has established their large following and credibility because of their highly selective approach to recommending the best gifts out there. For selected brands, the site serves as a marketing tool to help many small and indie companies gain exposure. Apply here.